Developed a cross-company device taxonomy that is being used to effectively present device categories in the Windows 7 Device Stage, and that is aligned with existing product and logo programs. Identified new strategic opportunities for making Windows work better together with consumer electronic devices in future releases of the OS, and successfully evangelized product recommendations through successive milestones of the planning process. Authored and negotiated VP-level agreements to align strategic planning and investments between Intel's Digital Home Group and Microsoft's Entertainment & Devices Division, including a joint collaboration proposal presented to Intel CEO Paul Otellini and Microsoft CEO Steve Ballmer. Developed and jointly presented Intel/Microsoft marketing deliverables and recommendations for Networked Media Devices to mutual tier-one partners in the consumer electronics and PC industries. Led cross-functional teams across Intel and Microsoft to successfully plan and deliver joint solutions for HD DVD players, Mediaroom IPTV solutions, Windows Home Server appliances, Media Center PC platforms, Online Media content, and Intel Media Share Software. Planned and executed online, offline, and social marketing campaigns that grew website traffic from 0 to 3.5 million pageviews/month after one year and grew a developer program from 0 to over 250 third-party add-ins after one year. 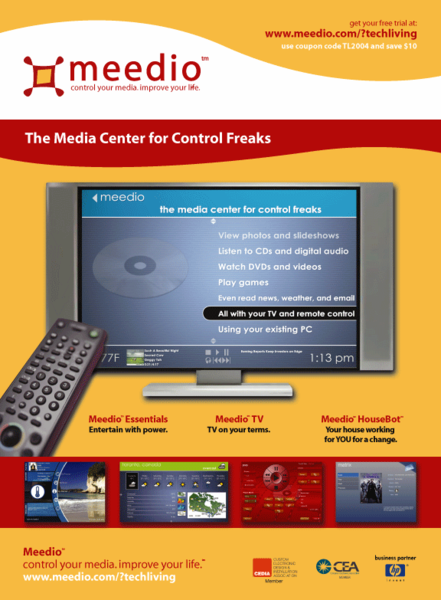 Developed and implemented business and marketing strategies that attracted key partners including DivX Networks; led to sales through retail outlets including CompUSA, Fry’s, Amazon.com, J&R, and Smarthome; and resulted in an acquisition by Yahoo!. Successfully leveraged Agile methodologies to launch three new software products within 12 months, including a winner of a 2005 Consumer Electronics Show Innovations award and a PC Magazine Editors’ Choice Award. Grew an online website creation service from a couple hundred to several thousand small business customers, earning a PC Magazine Editors' Choice award along the way. Developed and executed marketing campaigns that contributed to 18% annual revenue growth in the WebSphere brand. Successfully coordinated organizational revenue plan totaling approximately $900 million. Senior software industry professional with over 15 years of experience planning and executing technical, business, and marketing strategies, fostering customer and partner relationships, and delivering award-winning products to market in startup and established businesses. Subject matter expertise in emerging technologies including social media, digital media, and consumer electronics. Strategy, planning, marketing, partner relations, product management, program management.